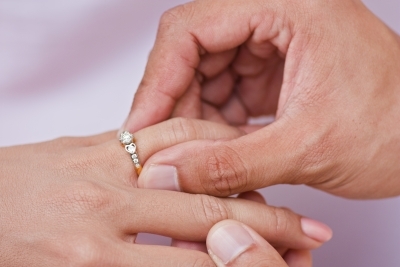 ← Is Marriage Easy or Hard? Just in time for the weekend, check out this very fun proposal that used a pictionary game as a jumping off point to pop the question. This young man put a lot of work into making sure the proposal went off without a hitch. It’s another reminder that at least occasionally we should be willing to put in some creative effort to please our partner–even after marriage. While you’re there, you might enjoy the link to the lego video proposal. It seems for a while large group proposals were getting to be quite popular, but I enjoy seeing these very personal and unique proposals. What have you seen lately that struck you as heartfelt and creative? This entry was posted in Marriage, Proposals, Relationships and tagged lifelong marriage, marriage proposals, marriage tips. Bookmark the permalink.